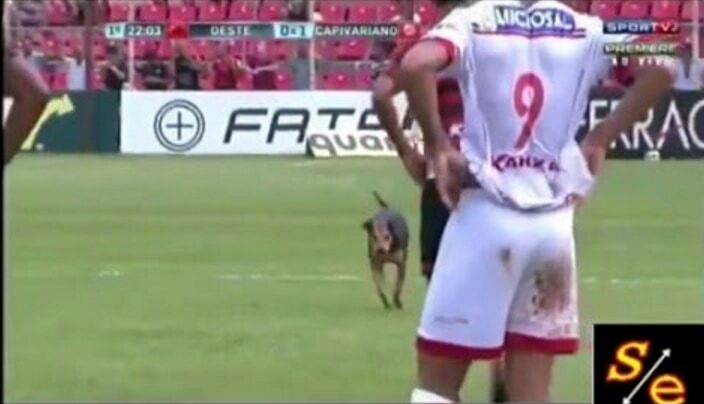 A dog wandered onto a soccer pitch during a championship game in Brazil. 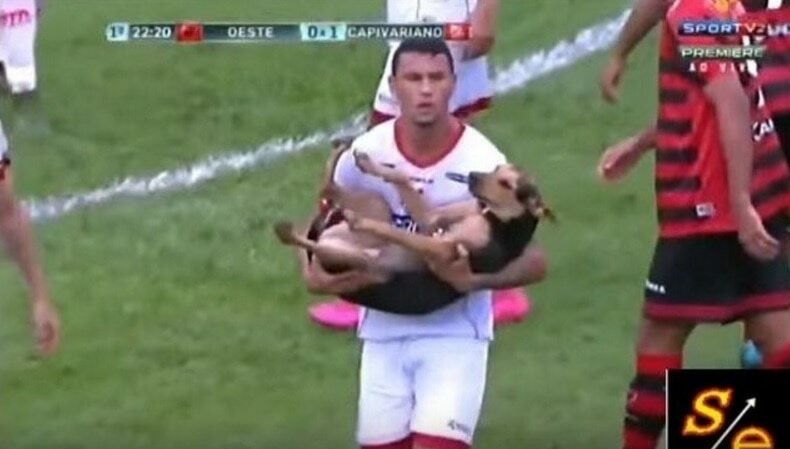 Right in the middle of a championship match between two Brazilian football clubs, the game was interrupted by a dog that decided he wanted to play too. For some people, this inconvenience would be a reason to be annoyed with the dog. However, the man doing play-by-play decided to take another approach, and became a public dog advocate. In fact, no one really seemed to mind the dog coming out onto the pitch with the rest of the players. People seemed to almost be cheering the dog on, and the players were having a blast with it as well. One of the players then approached the dog, and scooped him up in his arms. At that point, the crowd attending the game was going wild, cheering on the dog and the player. The dog was then taken to the sidelines, and the game was resumed. However, befor the game was back on, the announcer came out with a very important statement, and one that we happen to agree with very much. Kicking the owl was horrible and should not be listed as a funny!!! That is great that he didn’t mad at the dog, we don’t need anymore people who are mad at animals, got enough of that. I just hope the dog had a home. Before picking what diner to go to, look at the coupons obtainable from distinct restaurants.